A Music box for the Hummel Collector! 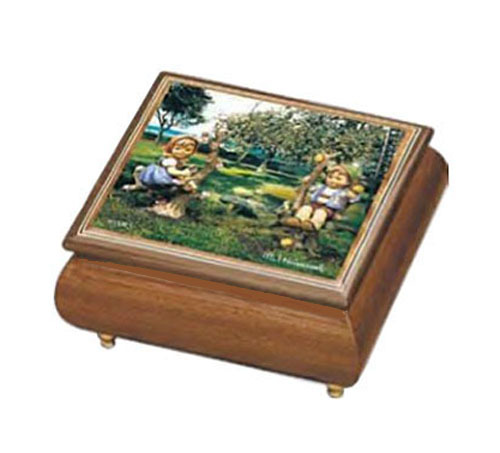 The decoupage lid is of the well known "Apple Tree Boy and Girl" by Hummel. From the Artist series by Ercolano, this sweet box measures 5" x 4.25" x 2.25" and plays "Apple Blossom Time".